Problems do occur when you’re color printing; and the effect is always on the total cost you are going to pay once your marketing materials such as your poster printing is delivered to you. But most of the problems can be avoided even before you have your print posters for example reproduced by your color printer. One way to do it is to communicate well with your color printer your specifications. Indeed, many problems arise from poor communication between you and your color printer. The way you explain and describe your job order and how much the color printer quoted it is always the culprit. Many of the problems are actually avoidable if only you and your color printer are on the same wavelength. What I mean by this is that no problem would arise if both of you are speaking the same language. You have to understand that you and your color printer actually speak different. What you want done is not the same as how they are going to do it. Unless both of you understand each other fully, you will never get the results you desire from the price you are willing to pay. One of the most common mistakes is to take for granted the meaning of one (1) sheet of paper. One sheet is not equal to one page in printing talk. Printers do not run individual sheets of paper. Rather they run it numbers divisible by 4. So if you need a booklet for example, you have to ask for a quote on either 52 or 56 pages because it would be easier for them to divide it into 4. The correct way of asking for a quote on a booklet is to ask for a 28-page saddle stitched material. This would mean 56 pages of booklet stapled (saddle-stitched) in the middle. Another mistake is in the description of the size of the material. Let’s take the booklet as an example again. The standard sizes are 5.5 by 8.5 and 8.5 by 11. More or less than that and the printer would have a hard time giving you an exact quote. And don’t forget to remember that the size of your print order would be the one AFTER you trimmed it. Next mistake is to describe the paper or stock used. You have to realize that the quote would depend on the type of paper stock you are going to use, as well as the frequency you are going to use it. If it’s the booklet again, you would probably have a different stock of the cover from that of the inside pages. 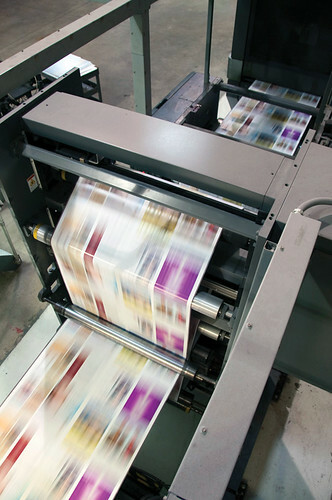 For a poster printing order, it’s easier because you will have one paper stock throughout your project. But you still have to specify because the kind of stock you’re going to use would reflect the type of image you would want to have as a business. One other big mistake is to submit the wrong file. Printers do have a specific file they require to get you the exact material for your results. The wrong file will definitely cost you more time, effort and money. You wouldn’t want to have your printer print your file again because it would cost you double. And you would also not want to pay for something that you’re not satisfied with. Mistakes when color printing can actually be avoided if you communicate well with your printer what you want. The more your printer knows your requirements, the bigger the chances that you’ll get the results you desire. Entry filed under: 6 color press is AZ, calibrating color for printing, CMYK, color correction, color library, commerical printer, printer in Arizona, printer in Phoenix, prisma graphic, RGB. Tags: CMYK, color, color correction.